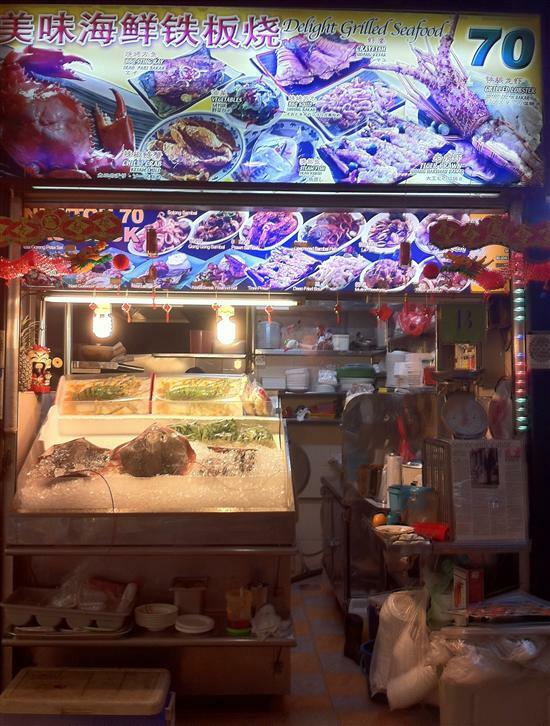 No self-respecting food lover would come to Singapore without trying the famous chilli crab, but local cooks have plenty of other delicious tricks up their sleeves for dealing with prawns, squid, cockles and even stingrays. If you’re a fan of fresh seafood, you won’t want to miss out on these. Grilled squid — don’t skimp on the chilli. While the Mediterranean has calamari, Singapore has sotong. The most common way of cooking the delicate squid is wrapping it in a banana leaf and grilling it over a fire. The result is crispy and tender, and usually smothered with a generous portion of chilli sauce called sambal. You may see it on the menu as sambal sotong. Fresh stingray is usually cooked the same way – slathered in chilli, wrapped in banana leaf and grilled to perfection over a fire. Although it seems like an exotic animal to have for dinner, stingray is a relatively common fish in Southeast Asia and the meat has a mild flavour, which is perhaps why the sambal is necessary. From the ocean to your mouth. Shellfish fans have plenty of choice as any hawker stall specialising in seafood will have a display of cockles, prawns, crayfish and even lobsters on ice. You’ll still need some Tiger beer if you want to get tipsy, but the dish drunken cockles comes in a delicious sauce made from minced garlic, chillies and a splash of Chinese wine. Another uniquely Singaporean seafood dish is lala, also known as bamboo clams, which are cooked in a wok with ginger, spring onions and – of course – chilli. 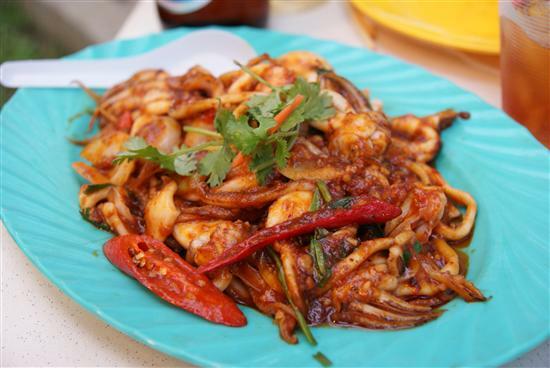 Prawns can be cooked in dozens of ways – grilled, fried, steamed in a bowl of laksa soup – but one of the most popular preparations in Singapore is cereal prawns. The plump prawns are first breaded in a mixture of oat cereal and spices then deep-fried until golden and crispy. If you’d like to try to make cereal prawns yourself, here is a well-illustrated recipe. The crab is the king of Singapore seafood dishes. Last but not least comes the crab. Though chilli crab is what everyone knows, Singapore has other ways of cooking crab that are just as good (or, some may say, even better). 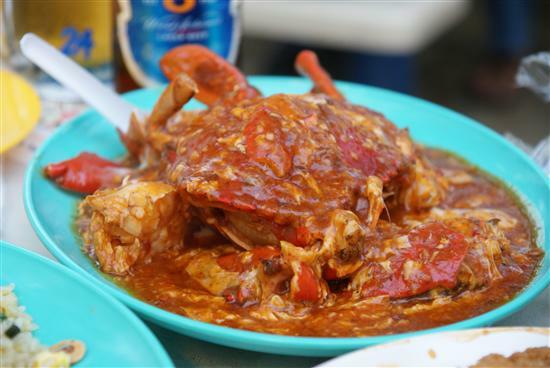 The chilli crab’s biggest rival is the black pepper crab, which has a drier texture but is just as spicy. If you’re not counting calories, you may want to try butter crab, which is just as sinful as the name sounds. Remember that seafood is usually priced per 100 grams and susceptible to market fluctuations, so always ask the price before you order!